Also strategic communications via 2ndthebest. 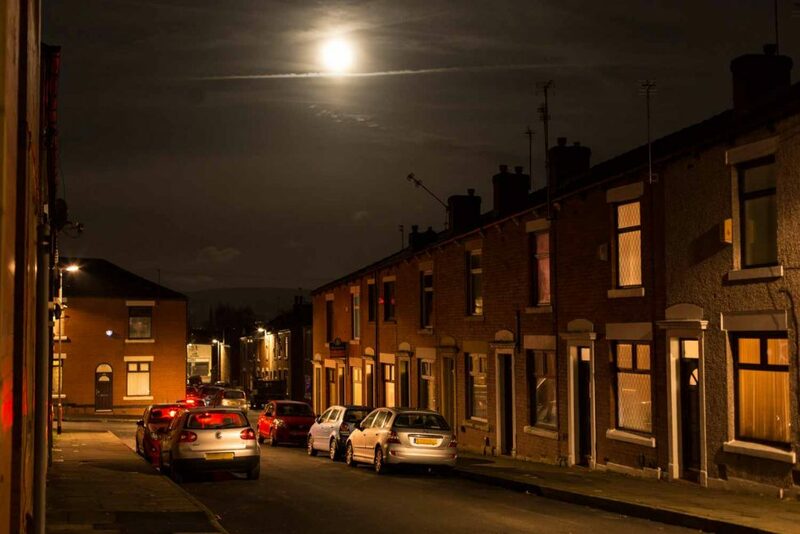 Supermoon over the streets of Rochdale. This Metropolitan Borough of Manchester has a population of approximately 211,000 people including over 1,000 dispersed people seeking asylum. Questions are being asked as to how to honour and support those escaping persecution + death, whilst acknowledging communities that feel disenfranchised across the U.K.
I’m in Rochdale for a week to ask the experts, listen, try to learn + live on an asylum seeker’s budge (£36.95/ week) – so far a 49p packet of Bourbon biscuits has saved the day.